With years of development, Blu-ray players are getting more and more powerful, they can now do much more things other than just playing a Blu-ray disc. For example, more and more Blu-ray players start to feature Wi-Fi in them to allow streaming media content from media-services provides like Netflix, YouTube, Hulu Plus, Amazon Instant Video, etc. 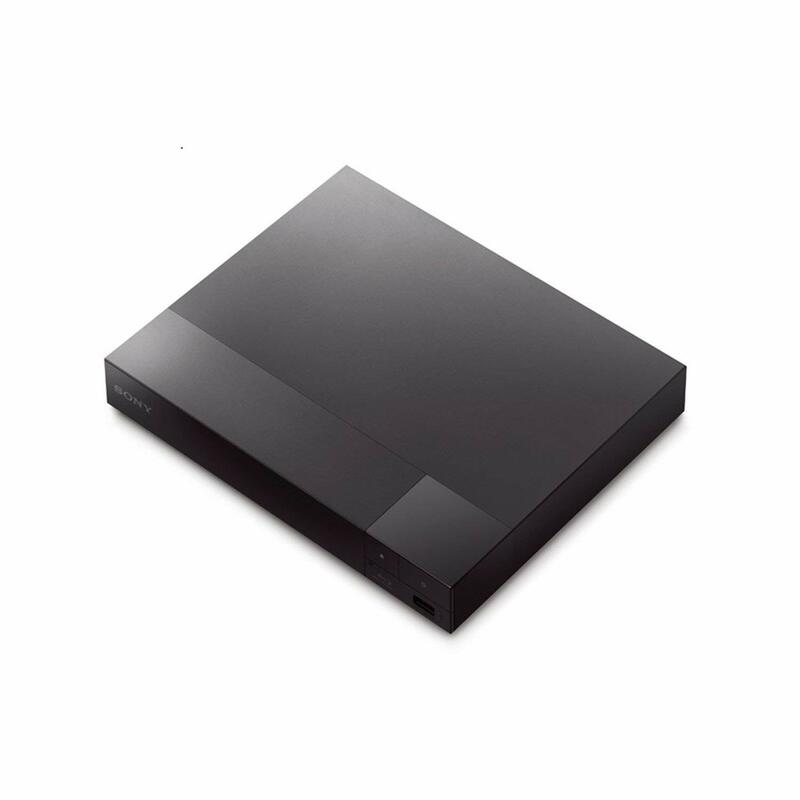 With a Blu-ray player like this, you can not only enjoy your Blu-ray movies but also movies and TV programs with the help of streaming services. If you are planning on updating your old Blu-ray or DVD player, you should totally consider getting a Blu-ray player with Wi-Fi. Check out our recommendation for the best Wi-Fi Blu-ray player in below. The Sony BDPS3700 comes with Wi-Fi that enables you to stream media content from various entertainment services with the preinstalled apps in it. It also has Miracast that allows you to mirror the screen of your smartphone to your TV to share the view on your smartphone. The support for PlayStation Now allows you to stream and play PlayStation 3 games without needing the console itself. The DVD upscaling feature is very useful for people who have collected a certain amount of DVDs. It can also read and play videos and music and view photos on USB drives and other portable storage media. The DLNA support allows the possibility of sharing data conveniently among different devices around the household. 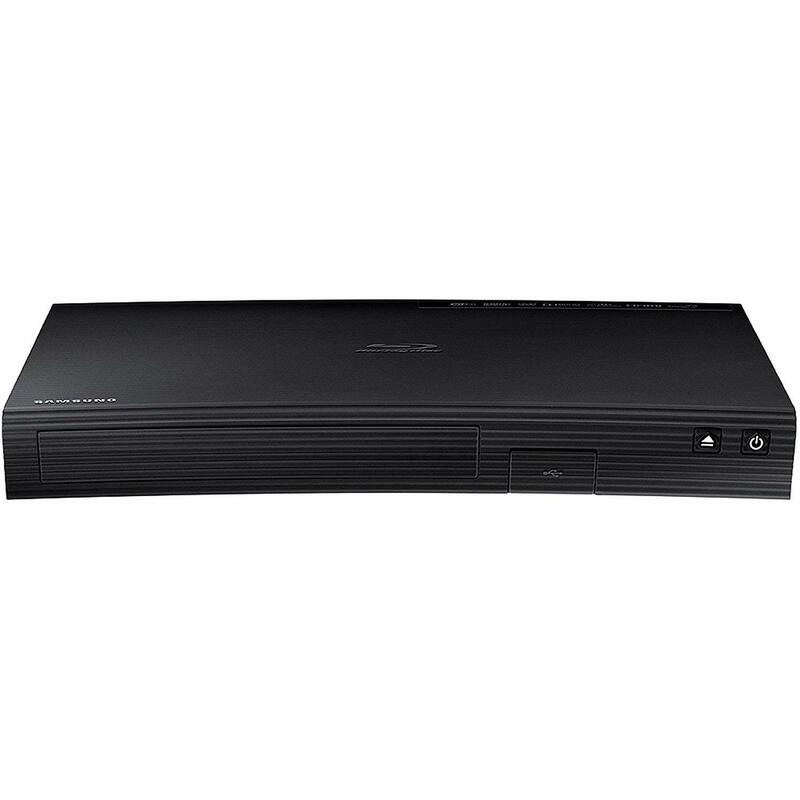 The Sony UBP-X700 is a high-end 4K Blu-ray player that supports playback of 4K Blu-ray discs and upscaling 1080P Blu-ray to 4K. It also features Wi-Fi and a lot of streaming services and apps. The 3D playback support allows you to enjoy 3D Blu-rays on 3D TVs. You can share the content on your smartphone’s screen with your TV using the screen mirroring feature. For DVD collectors, it also supports upscaling DVDs to HD resolution. 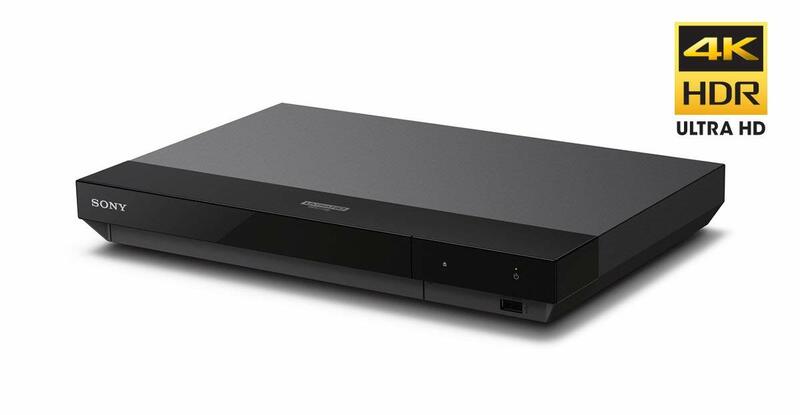 This Samsung Blu-ray player packs Wi-Fi to let you do different things with it. First you can stream media content from content providers like Netflix, YouTube. And Wi-Fi can also be used with Samsung’s AllShare content sharing technology to let you sync and stream content to other devices. Other features include the support for DVD upscaling to near HD quality and playing media content from USB storage devices. When you are about to purchase a Wi-Fi Blu-ray player online, make sure that you know if it’s region-free or region-locked. If it’s region-locked, you should know which region it’s locked to so that when you buy Blu-ray discs online, you can buy the right discs according the region code on your Blu-ray player. If you are not familiar with the Blu-ray region codes, check out the region code information in the list below. Region B: Europe, Middle East, French territories, Greenland, Africa, Australia and New Zealand. Region C: Russia, Mainland China, India, Bangladesh, Nepal, Pakistan, Central and South Asia. If you have a Region A Blu-ray player and get a Region B Blu-ray disc, then you won’t be able to play the disc with your Blu-ray player. So make sure that the region codes of your Blu-ray player and Blu-ray discs match with each other. If you do get the wrong disc or the wrong player, there’s a way to get around the Blu-ray region codes issue. You can try creating a region-free copy of the Blu-ray disc you buy. You can play a region-free disc on any Blu-ray player you have. Also, a region-free Blu-ray player would be able to play Blu-ray discs of different regions. But getting a new Blu-ray player could be spendy and unnecessary and making a copy of your Blu-ray disc is way cheaper. If you are intrigued, check out what program you can use to make a region-free copy of your Blu-ray disc and how in the content below. 1. A blank Blu-ray disc in the same format(BD50/BD25) as the original disc. 2. A suitable piece of Blu-ray copying software. 3. One or two Blu-ray drives. If you have only one Blu-ray drive, make sure it’s capable of burning Blu-ray discs. And when you have two Blu-ray drives, one of them should also be able to burn a Blu-ray disc. The program we need here is Leawo Blu-ray Copy. It’s a well-developed Blu-ray copying program that can copy and back up Blu-ray disc losslessly. And the region code will be removed during the copying process. 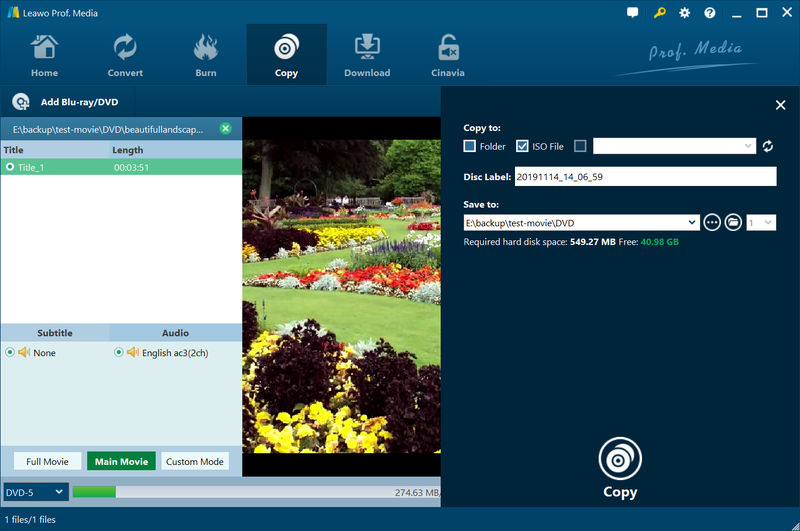 With it you can create an exact copy of the original disc but with region code removed from it. And it’s very flexible. You can copy a Blu-ray disc to another disc using one or two Blu-ray drives. With two Blu-ray drives, you can directly copy the original disc to a blank disc. And when you only have one drive to use, you can copy the disc to your hard drive first and use the program again to burn the copy of the disc to a blank disc. Below are the instructions for using the program to create a region-free copy of your Blu-ray disc. I’ll show you the process for when you have one or two Blu-ray drives. ☉ Supports 1:1 lossless Blu-ray/DVD copying. Step 1. As Leawo Blu-ray’s incorporated into Leawo Prof.Media. So to open Blu-ray Copy, first open Prof.Media. The shortcut of Blu-ray Copy can be found right on the main interface. 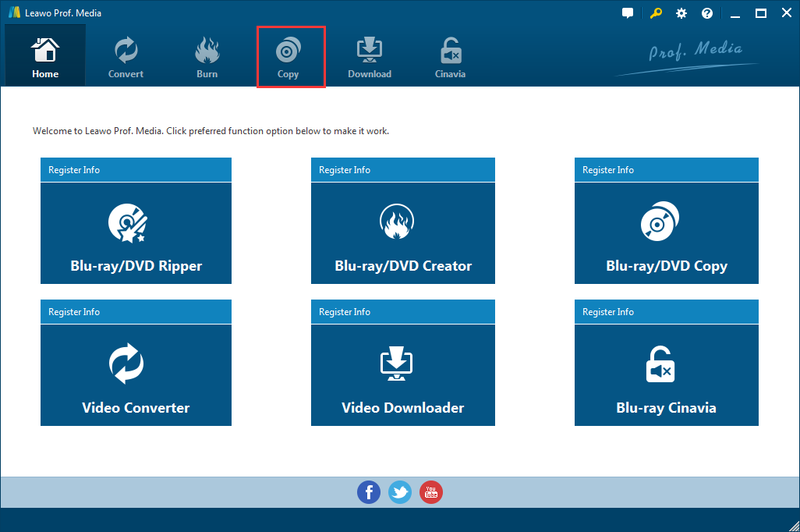 Finish the registration process for the Blu-ray Copy module and click on the shortcut to load Blu-ray Copy. Step 2. Put the source Blu-ray disc in your disc drive and load the data of the disc to the program after the program recognizes the disc. Just click Add Blu-ray/DVD and click Add from CD-ROM from the following menu. The following option will have the content of the disc loaded to the program. Step 3. Use different copy modes to copy different content. There’s the Full Movie mode to let you copy the whole disc and the Main Movie mode to copy the main movie and exclude other video titles. You can also select the videos you want manually with Custom Mode. Then choose the standard for making the copy from the drop-down menu in the bottom left-hand corner between BD50 and BD25. You should choose one according to the size of the original disc. If the original disc is a BD50 disc and the blank disc you have is BD25, then you should choose BD25 from the drop down menu to compress BD50 to BD25. Step 4. Click the Copy button from the upper-right section of the interface. If you only have one drive, check one of the two option (iso file and Folder) on top of the following sidebar first to copy the disc to your hard drive. If you have two drives, put the blank disc in the second drive(Blu-ray burner) and select it as target from the third-option on the top. Set where to save the copy in the Save to box when you choose to copy the disc to your hard drive. And start making the copy by clicking the Copy button on the sidebar. The following instructions are for when you have one drive. After the program finishes copying the disc to your hard drive, put the blank disc in the drive, close the program and open it again. The process for burning the copy is basically the same as making the copy. The difference is that you are importing the copy from your hard drive. 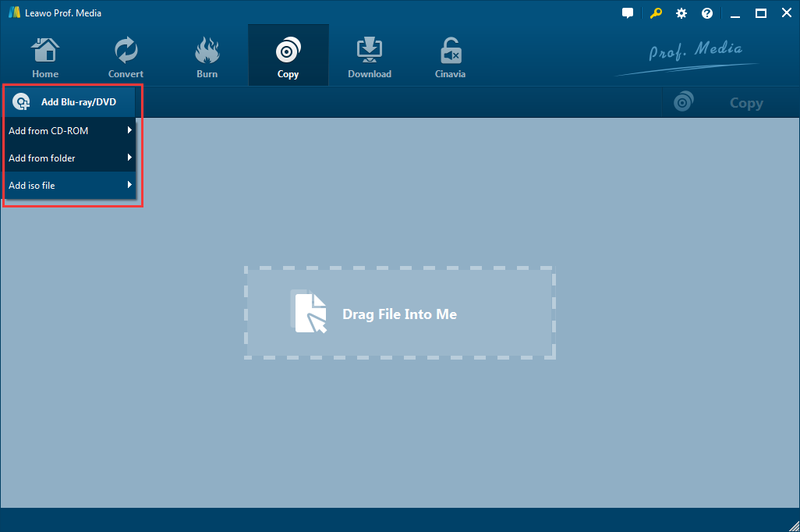 There are two forms of copies you can create, so after clicking the Add Blu-ray/DVD button, there are two other options for you to import the copy accordingly. After importing the source file, just repeat the above steps to burn the copy to the blank disc in your optical drive. Below you will find a video that will guide you through the copying making process. Some Blu-ray players are able to play videos via USB storage devices. So when you have a Blu-ray disc you can’t play on your Blu-ray player due to the region codes, you can also try to rip Blu-ray to MP4 with a program called Leawo Blu-ray Ripper. With a Blu-ray player with Wi-Fi, your way to enjoy a movie with a Blu-ray player will not be limited to Blu-ray discs. Most of the Blu-ray players with Wi-Fi would come with a lot of apps and streaming services built-in to let you enjoy content like TV programs, movies, music wirelessly and directly with your Blu-ray player. And a lot of those content were just accessible on our computer and smartphones and now with a Wi-Fi Blu-ray player, we get to enjoy them on our TV without needing them. A Blu-ray player with Wi-Fi will make enjoying movies a lot simpler. If you are still using an old school Blu-ray player, maybe it’s time to think about getting an update.